Introducing Tawodi, our Broad-winged Hawk! We are pleased to introduce our Broad-winged hawk, Tawodi! 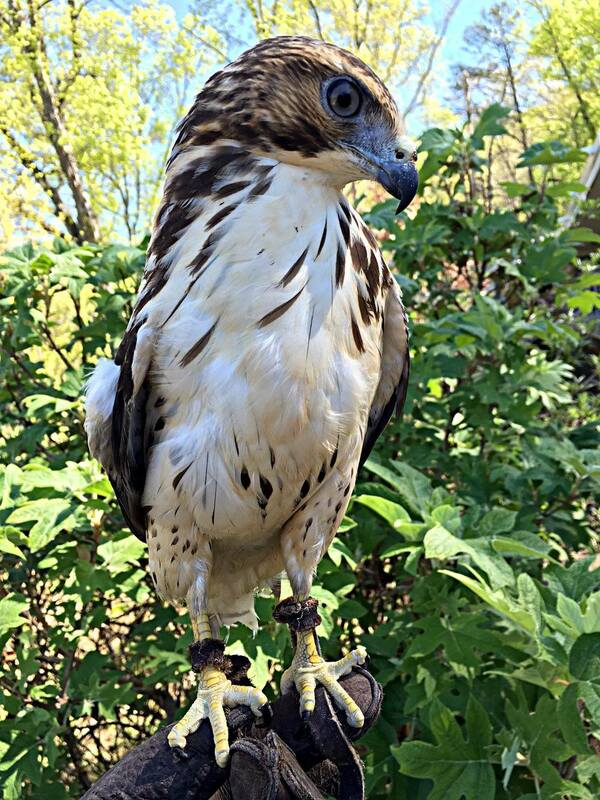 After sustaining a broken ulna and radius in his right wing, he was rehabilitated and brought to Ruffner Mountain by the amazing staff at the Alabama Wildlife Center. We then gained approval from the National Fish and Wildlife Service, and this broad-winged hawk was transferred to his new home at RMNP. Tawodi got his name when our Wildlife Curator, Chivon Morse, spoke with Mr. Greg Drowning Bear, a fluent speaker of Cherokee. He chose the name "Ta-wo-di" because it means "hawk" in Cherokee and is pretty easy to pronounce. The character of Ta-wo-di shows up in many Cherokee legends, namely the origin story of the flying squirrel, one that we love to share with students when they visit our Nature Center. Next Saturday, April 30, come out to our Native Plant Sale, where you will have the chance to meet Tawodi the hawk (10:30 am or 12:30 pm) while checking out our huge selection of native plants! We hope to see you there! Newer PostWhy Are Native Plants So Important?